← RAW HARTFORD Nominates Ashley Stone as Hair Stylist of the Year! Make Overs for some deserving women! Last week we had the honor of doing 10 make overs for some women that reside at the Interval House in Hartford, a battered women’s shelter. We were so excited for this opportunity to take what we love and use it for such a great cause to empower other women in a different way. 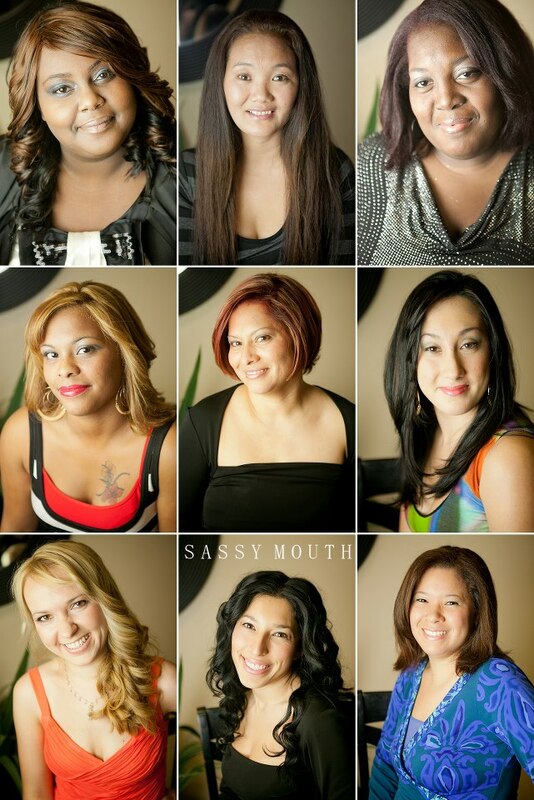 The staff of Salon Alexander & Beauty Entourage provided coloring services, cutting, styling and make up as apart of the day to pamper the women. Also involved was Lyn Evan Potpourri Designs of West Hartford, Dress barn, and Sassy Mouth Photography. Together we created a new look that was captured at the end with beautiful portraits! The day was a great success for all involved and I want to thank everyone for being apart of it. Also, Dress Barn was kind enough to donate an additional $150 gift card to two of the women that were unable to make it that day. We were thrilled to discover the Fox 61 news got word and sent someone to the salon to document our story. The smiles on the women were so priceless and I think it will be a day we will all remember. I hope to continue to holding this event every year. Thank you again to Jamie Taylor for helping put this all together and to the staff that helped make this all happen as well. Beautiful job! Those women are very blessed to have such an opportunity! I hope that they feel beautiful inside and out like they deserve! They all look beautiful! Love their smiles.